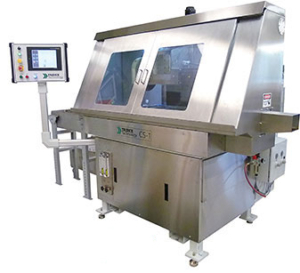 We have added a 3rd Tridex Burr-Free Electrochemical Cutoff Machine. Adding Capacity and Reducing Lead Times! MicroGroup continues to invest in its manufacturing capabilities with the recent acquisition of a third Tridex Model CS1-E Electrochemical Cutoff Machine. 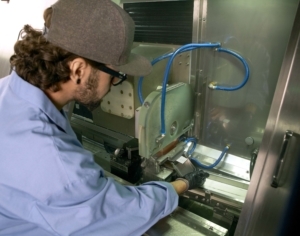 This cutting-edge system adds production capacity and performance features enabling MicroGroup to better serve the delivery and machining requirements of its customers. *Depending on diameter and tooling. 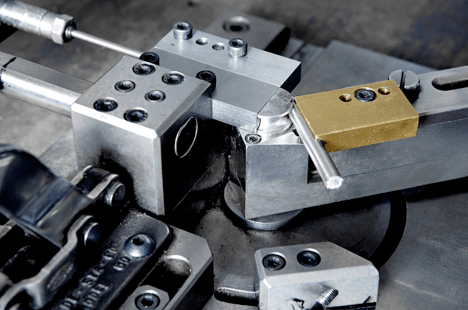 Electrochemical cutting has many advantages over other methods. Fixtures are designed to hold multiple tubes or wires to be cut, limited only by their diameters. For stock diameters of .012″ (30Ga), fixtures will hold 121 lengths. For diameters of .203″ (6Ga), fixtures will hold nine lengths. 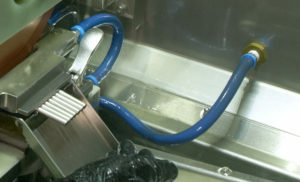 The computerized automatic feed mechanism, combined with high volume fixturing capability, makes this a production-friendly process. Due to the electrolytic action, the finish of the cut faces is excellent with all sharp edges typically removed, leaving a small radius of approximately .001″ to .003″.